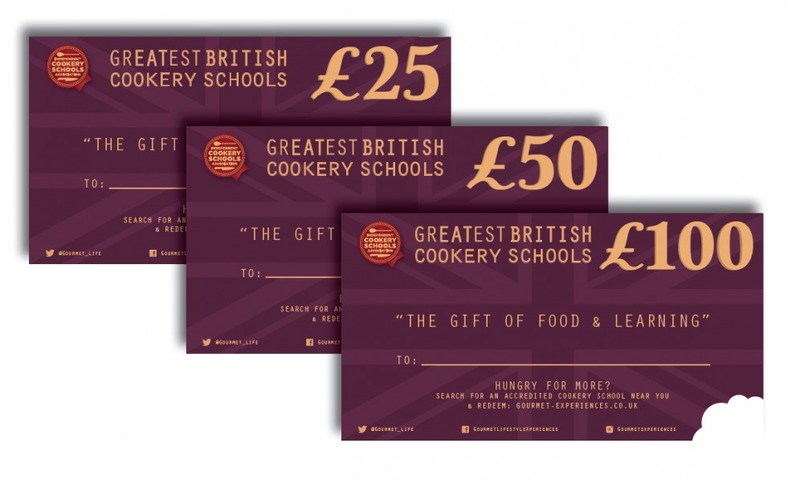 ‘GREATEST BRITISH COOKERY SCHOOL’ Gift Certificates. Accepted by over 25 ‘ICSA’ Independent Cookery School Association accredited cookery schools nation-wide. Search for Schools near you here. The gift of learning, to inspire and share new skills and to help improve awareness of Great British produce. Monetary value available as ‘cash’ off any ICSA member course throughout their 2018 course calendars. Featured in Sunday Express ‘S Magazine’ & Delicious Magazine. Select your desired denomination for the drop down menu. Search our ICSA Members Cookery Schools. View participating members here. Follow instructions on your gift. Book with us. Attend. Enjoy. Learn. Share. GREATEST BRITISH Cookery School Certificates: eXcellence in Learning New Skills. RECIPIENT: Once gifted the lucky recipient simply follows the instructions to re-visit our dedicated redemptions page to search their desired ICSA Cookery School to redeem. ‘Certificates’ treated as cash towards any course purchase subject to availability. Valid for 9 months from purchase. Extensions available. No refunds. 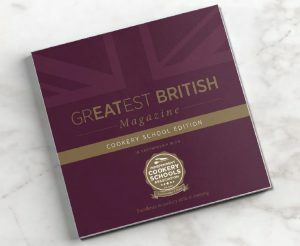 Offer: Orders over £100 receive a FREE copy of GREATEST BRITISH Cookery Schools Guide 2019. This fifth anniversary edition, featuring all ICSA schools, alongside articles and features written by ICSA joint founders Stella West-Harling MBE, chefs and industry leaders.